i dont think they ever made this car, Delete? Yeah there not as bad as people think. the only person i have seen complain bout the ride quality is Jeremty Clarkson, they definetly wont break your back, unless the ride quality is different? like Euro or Japanese or American specs or somthing. This Noble is pretty neat. Noble does pretty good work with those Ford V6's. true i would prolly take an atom on a track over this on a track...maybe..lol but im sure this is an excelletnt car on the track as well and guesses on nurburgring time? Well for a track car I would get a Ariel Atom if I dont need to worry about practicality. dude no tvr has the zo6 performance except the speed 12 and the t440r oh and the cerb 4.5 rr other than that no..and i should know cause i drive a tvr..lol my awesome mother and father got me one for my birthday 4 years ago..hehe a 2000 cerbera 4.5...yeaahhhh unfortunatly some ******* did a hit and run 2 months ago bent the hell outta ma front bumper and the side of the car..still havanet caught the wanker. I have to agree with the second "Anonymous" who pointed out that Europe does have performance cars for less money. The Z06 guy is so angry probably because he realised he has bought the wrong car. why didn't James May use this car on top gear instead of that damned Aston again? Max speed: over 185 mph. 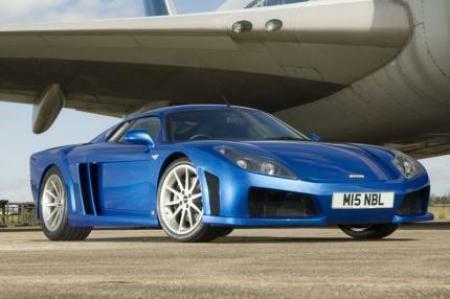 0-60 mph (0-96 km/h): less than 3.5 seconds (Noble claimed 0-60 mph of 3.3 seconds). 0-100 mph (0-160 km/h): less than 8 seconds.